New data published by Canadian broadband management company Sandvine reveals that 5.5% of US and Canadian households access pirate IPTV services, typically through set-top boxes. This translates to millions of 'pirate' subscriptions. A detailed analysis further reveals that these pirate TV boxes are most popular in dense urban areas. Increasingly, people are cancelling their expensive cable subscriptions, opting to use cheaper or niche-based Internet TV instead. While there are plenty of legal options available, there’s also a broad offer of easy-to-use set-top boxes which are specifically configured to receive pirated content. These pirate IPTV boxes are often sold bundled with a monthly or yearly subscription. This created an industry worth more than a billion dollars worldwide, perhaps even more. Canadian broadband management company Sandvine recently put a spotlight on this activity, revealing how popular these boxes are. The company gathered data in 16 states and provinces in the US and Canada, monitoring traffic across multiple fixed access tier-1 networks. 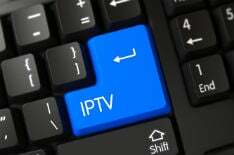 Following an analysis of the data, the company was able to pinpoint how many households were accessing pirate IPTV networks. It’s a revisit of a similar study last year which found that 6.5% of the households used illegitimate subscription-based services. The new results are somewhat lower. Sandvine reports that 5.5% of households could be linked to pirate IPTV subscriptions but this doesn’t mean that interest is waning. The most recent study looked at a broader and more diverse population than before. Last year’s sample was concentrated in urban areas with a population over a million, which skewed the findings. The recent study shows that 7.3% of the households in high-density urban areas have pirate IPTV subscriptions, compared to 4.3% in lower populated areas. This means that the overall reach may have actually grown. The findings clearly show that pirate TV subscriptions are more popular in big cities, which is an interesting fact in itself. “There is a huge variability in the demographics of those using pirated video services from region to region,” Sandvine’s Veroljub Mihajlovic notes. The scope of the activity also remains intriguing. As previously revealed, pirate IPTV traffic generated more bandwidth than many other piracy tools and services, such as BitTorrent. Also, it doesn’t even factor in other types of set-top box piracy, such as pirate boxes that access OTT streaming sites to play movies and TV-series “on demand.” This means that the overall piracy box landscape is even larger. All in all it is safe to conclude that IPTV piracy makes up a large part of the pirate ecosystem. This hasn’t gone unnoticed to copyright holders of course. Over the past year, we have seen enforcement actions against several providers and if this trend continues, more are likely to follow.